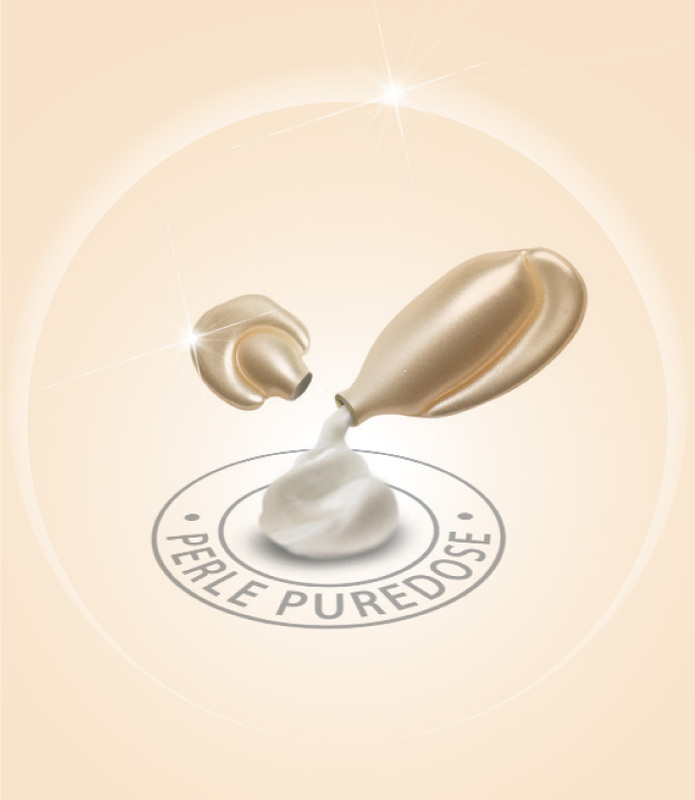 Perlabella® products will help you to achieve shining, smooth and full of vitality skin, turning your sight youth and beauty. Each PureDose Pearl is airtight and water/ preservative-free, so the purity of the product is never compromised. Every pearl is as fresh as the day it was created in Italy. You get only pure product every time. The Softgel Technology, used in packaging, guarantees the maintenanc e of the properties of each component in time. Perlabella® patented Polytrap® system uses a special polymeric powder that absorbs and reduces oil production with a visible mattifying effect. Patented Microsponge® system provides a time-released delivery of main components into the skin. The very small microsponges are spherical, so they slide off smooth skin and find their way inside wrinkles. The gradual product release helps to increase the effectiveness and tolerability of the ingredients. Lipogard Technology provides the optimal synergistic mixture of Vitamin E and Q10 to fill the gap of natural skin protection and combat the signs of aging. Q10 with Lipogard® technology helps your skin look and feel firmer, softer and well-toned.